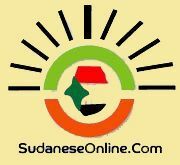 A Sudanese student and blogger has been detained since 24 December 2013 and is at serious risk of torture and other ill treatment, Amnesty International reported. Tajeldin Ahmed Arja, 26, was arrested by the presidential security guards after he openly criticised both the Chad's President Idriss Deby and Sudanese President Omar Al-Bashir during a conference in Khartoum, Sudan. Arja attended a conference on the situation in Darfur that took place during President Deby's visit to Khartoum. Arja reportedly stood up at the start of the conference, where both the Sudanese and Chadian presidents were present, and criticised them, holding them responsible for the atrocities committed in Darfur. 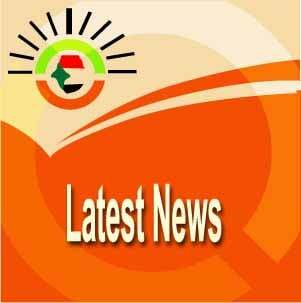 Witnesses told Amnesty International that eight security guards seized Tajeldin and took him out of the hall. His whereabouts are unknown to this day. Tajeldin Arja is from North Darfur. He was displaced with his family during the early years of the Darfur conflict. Since then, he has reportedly become critical of the Sudanese government and has written and blogged about the situation in Darfur. On his Facebook page Arja had called on the Darfuri activists in Khartoum to speak out against "the destructive leaders who care about their own interests only". He had also launched an attack on the Bashar faction of the Justice and Equality Movement (JEM-Bashar) who earlier this year signed the Doha Document for Peace in Darfur, Radio Dabanga reported. Sudanese security forces adopt prolonged incommunicado detention, torture and ill-treatment of protesters, activists and perceived political opponents. Detainees can be beaten with sticks or rubber hoses; they are made to stand in scorching heat for days at a time; deprived of food, water and sleep; or forced to adopt stress positions for long periods, Amnesty has reported. Amnesty encouraged to send an appeal before 25 February to President al-Bashir, Minister of Justice Mohamed Bushara Dousa and Minister of Interior Ibrahim Mahmoud Hamed. A petition to request an investigation on the detention of Arja has been submitted by a group of six lawyers before the Sudan's National Human Rights Commission(SNHRC). "We would like submit this petition, to request your august institution, based on your constitutional and legal powers, to undertake the necessary and appropriate measures to investigate the facts and circumstances of the current and previous arrests of the applicant, and to carryout immediate actions to release him," the petition reads.